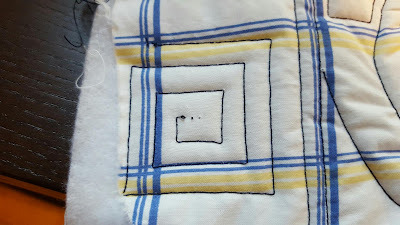 When I was working on my first quiltI was really nervous to quilt the top of something so large. 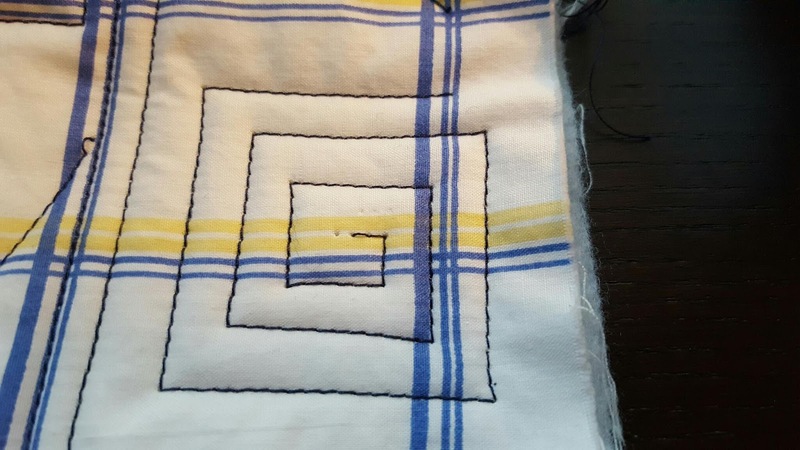 I've quilted some placemats and coasters but that is basically it. 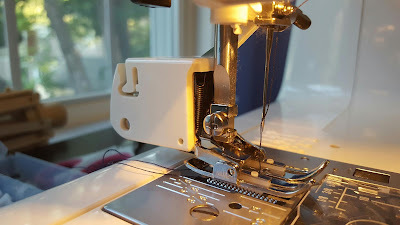 I got myself a Janome Walking foot for my birthday but hadn't had the chance to practice with it yet. 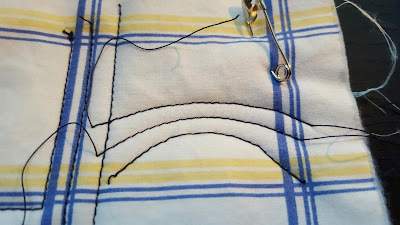 I didn't want to try using a different kind of sewing foot for the first time on Rowdy's quilt. What would I do if I messed up? Installing the walking foot on my machine was harder than I anticipated. I've switched between other feet before but this instillation involved removing the foot holder. I had to watch some videos but was finally able to get it on my machine. 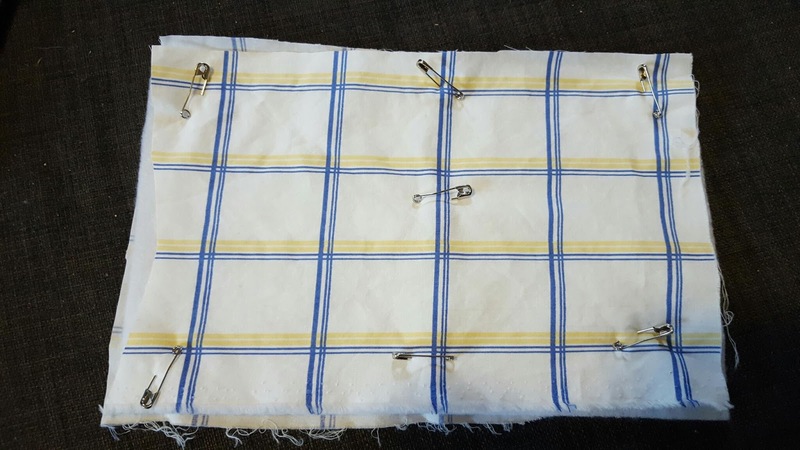 I pinned together a quilt sandwich using some remnant fabrics I had laying around. 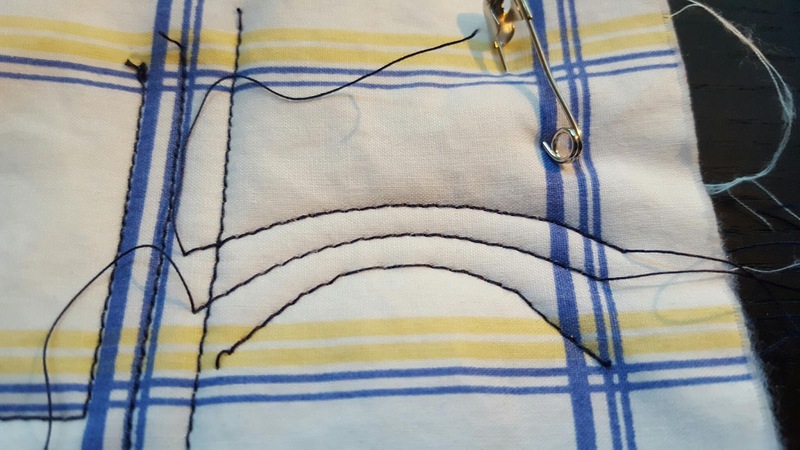 I worked with a dark thread so that I could see what was happening and get a sense if I needed to change my tension or anything like that. 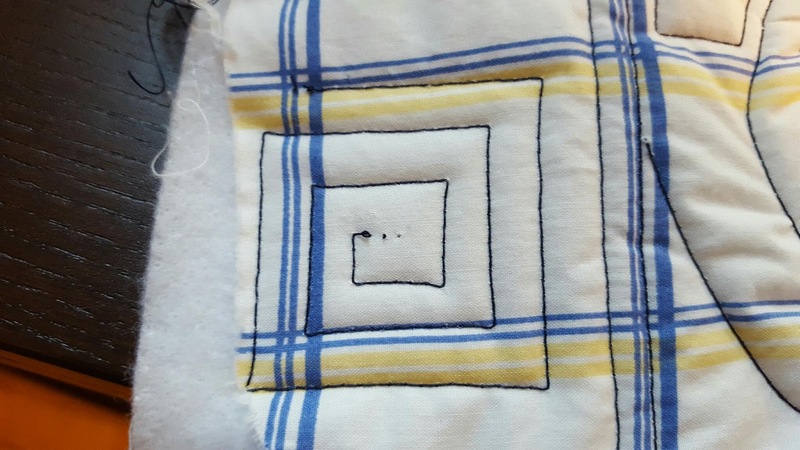 My aunt quilted a quilt for Rowdy by stitching in the ditch and then using semi circles between square points. 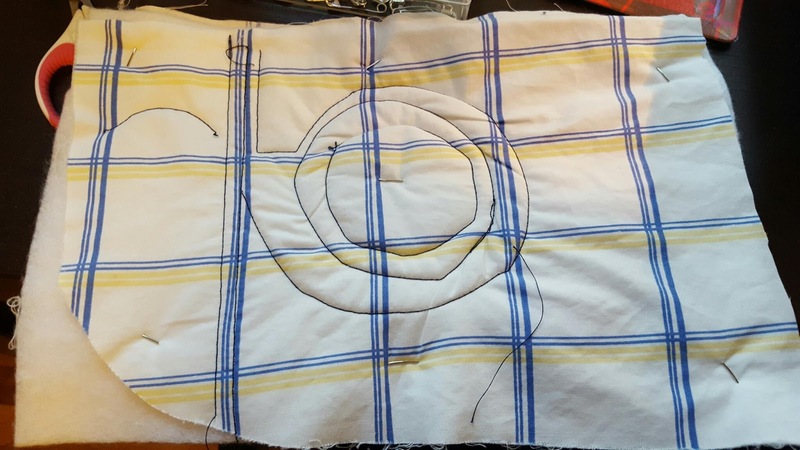 I decided to start out with some free form circles. 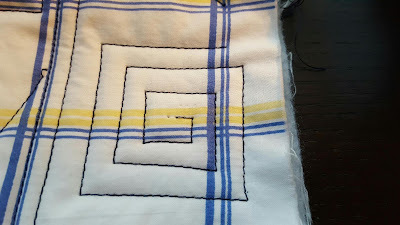 The front side isn't perfect, but I was stitching a bit fast. 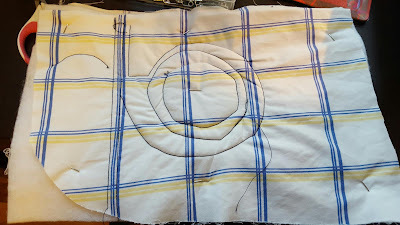 I will need to do more practice with my circles, but when I as careful it worked pretty well. The back is a little wrinkly and puffy. I'm not sure if this is any better than my concentric circles placemats or not. I'm really not sure if the walking foot is making a difference or not but at least I'm getting a feel for it. 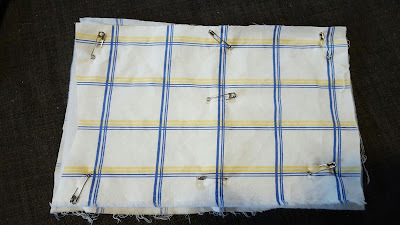 I did learn that I need to be careful to remove pins when is tart to get close because they can pull everything out of whack. I tried slowing down my speed and following a curve. 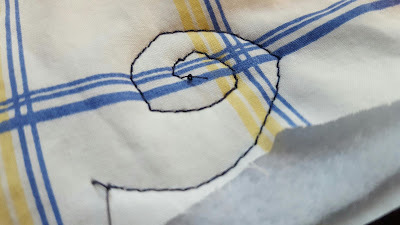 I am not great at closely mirroring a shape, so this means that some forms of quilting (following the outside edge of a dinosaur, for example.) 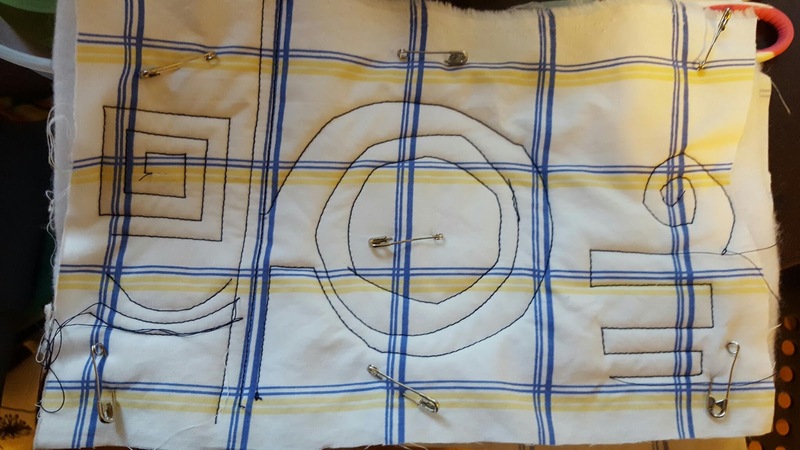 may not be the best thing to do on this first quilt. This squared spiral is by far my favorite and will fit with the character of my quilt the best. 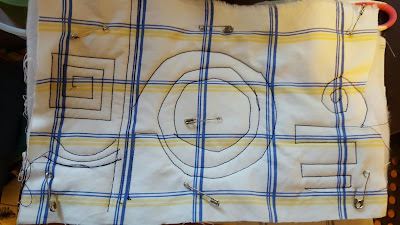 I will do this to quilt the center panel. Swatch, swatch, swatch! I'm much better with testing on swatches when I sew than when I knit but it is much easier to undo mistakes while knitting. 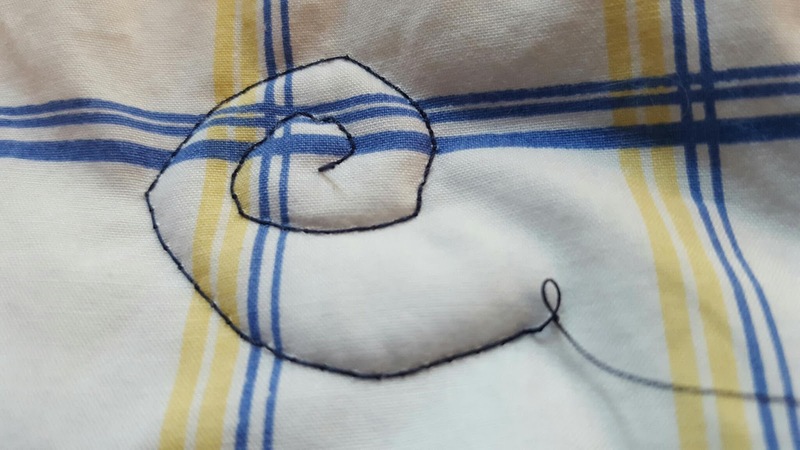 You can always unravel, but you cannot uncut! 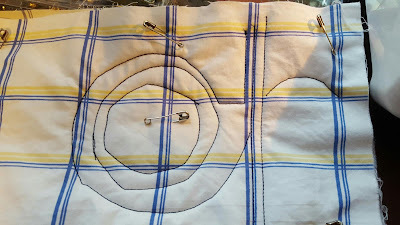 Hopefully I now have a good plan that will lead to a fantastic finished quilt product.